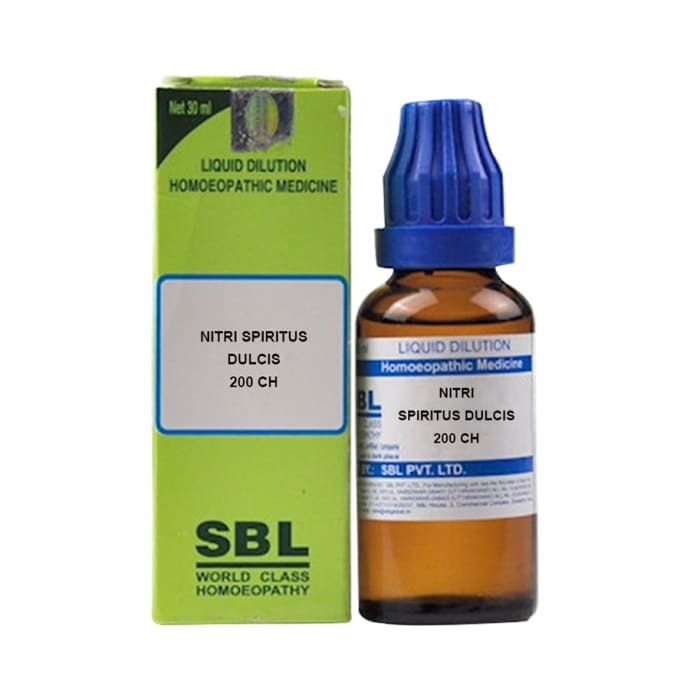 SBL Nitri Spiritus Dulcis Dilution a homoeopathic remedy which has various health benefits. It is helpful in treating respiratory disorders such as cough, breathlessness and painful chest congestion. Stomach ailments such as burning pain, acidity and gallstones can also be treated by its use. It is also indicated for treating sexual disorders in both males and females. Take 3-5 drops 2-3 times a day or, as directed by the physician.